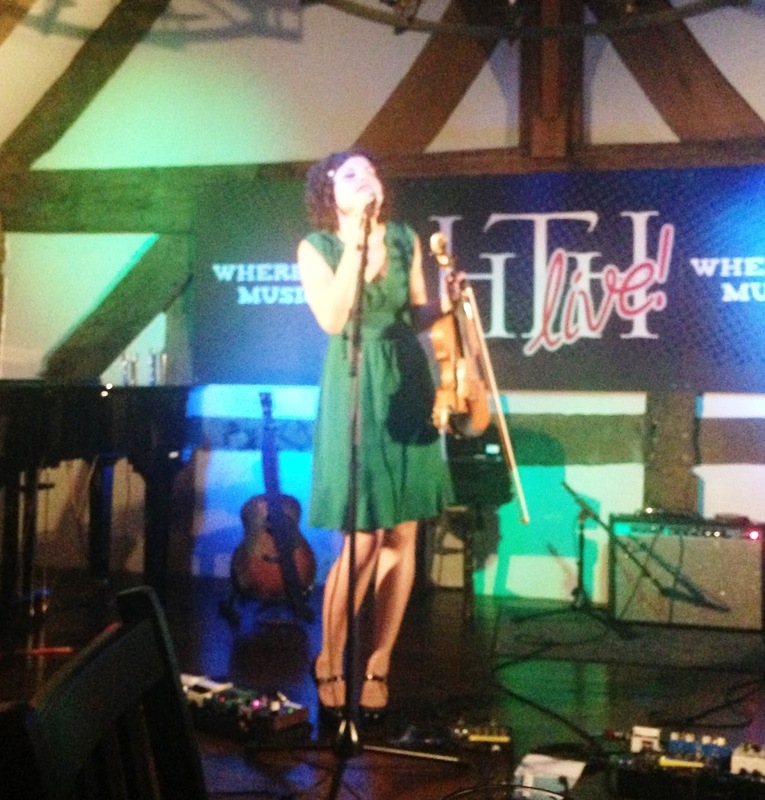 One of the delights for touring American artists is the opportunity to play in some of the increasingly quirky venues that are beginning to host live music on an intimate basis. You can now add to this list the rather splendid Henry Tudor House in Shrewsbury which no doubt pre-dates the European discovery of the New World and proved a popular stopping off point for Carrie Rodriguez on her latest tour of these isles. 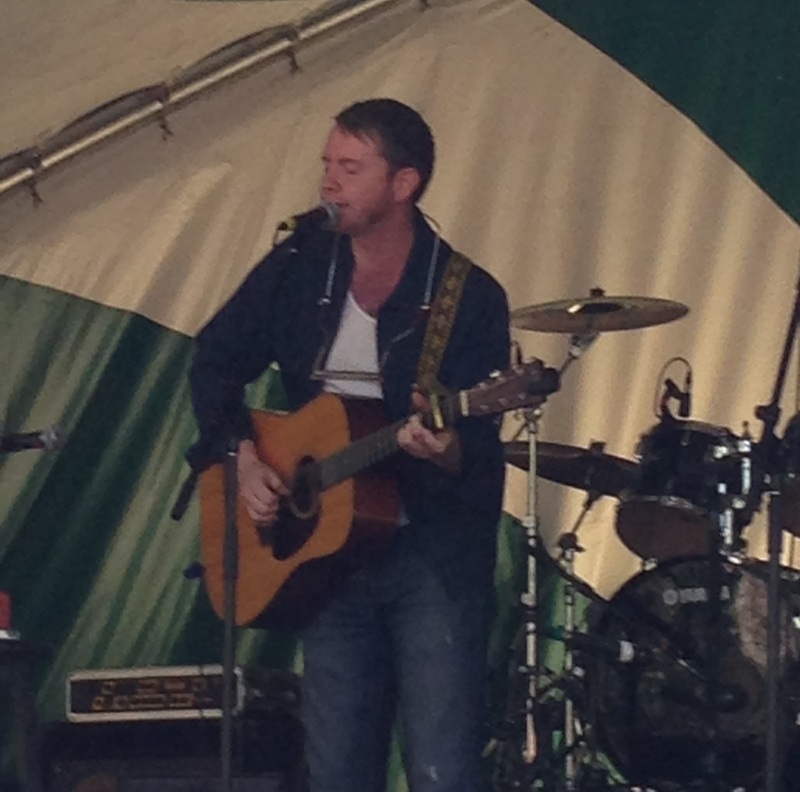 The decision to go head to head with the town’s popular folk festival on a Bank Holiday weekend didn’t deter the organisers and a sell out audience fully justified the decision to embrace the talents of an artist bestowed with immense beauty, vocal, fiddle playing and song writing ability. 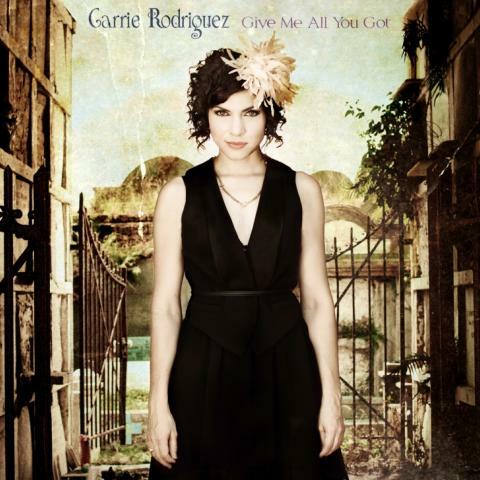 Carrie is no stranger to the UK with many previous visits in differing formats but she now seems settled in operating as a duo with Luke Jacobs who worked closely with her on the latest album GIVE ME ALL YOU GOT. Not surprising, this fine release featured prominently in the set with the evening of Carrie and Luke being solely on stage bookended by the album’s opening and closing tracks ‘Devil in Mind’ and ‘I Don’t Mind Waiting’. After the latter was beautifully performed, the audience had a treat of the duo being joined on stage for an impromptu jam with US bluegrass band Barnstar who had just been playing the nearby festival. 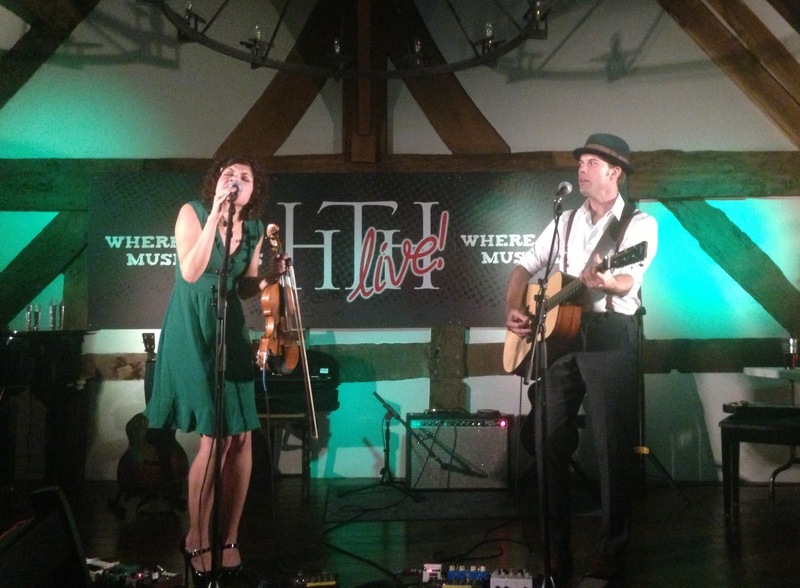 Two members of the band aided Carrie with a banjo/fiddle instrumental before the entire ensemble led by esteemed singer-songwriter Mark Erelli joined the duo for a rousing finale of the Hank Williams standard ‘I’m so Lonesome I Could Cry’. There is surely no finer fiddle player on the Americana circuit than Texan born and bred Carrie, although Amanda Shires and Kendel Carson run her close, and even when she occasionally picks up the guitar you get the feeling that this is a mere interlude until the fiddle returns. The interaction with Luke whether on electric, acoustic, harmonica or lap steel, is an endearing quality of their show of which you can throw into the mix a range of top songs comprising both originals and well-interpreted covers. The latter included the sublime John Prine track ‘Unwed Fathers’ and the song which catapulted Tammy Wynette to the top of the charts ‘I Don’t Want to Play House’. 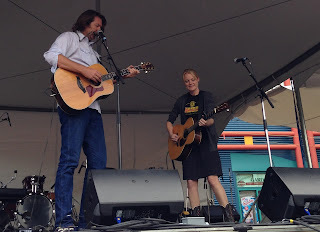 To have a stand out album track enhanced with a live performance is no mean feat but Carrie and Luke pulled that off with ‘Lake Harriet’ from the latest record. Also from this release ‘Sad Joy’ came across well, as Carrie introduced it with a heart warming story of an encounter at a Ray Lamontagne concert. The impressive vocals of Carrie exude class into the songs and when Luke stepped forward to sing an original titled ‘Margarit’ which put a little bit of country into the opera, he displayed a talent that had been hidden away on their previous UK visit. The pair also previewed a first airing of a new song potentially titled ‘Trouble’ which looks set to feature on a new release in the future. The appreciative crowd in this elegant music room housed in the loft space of this historic building thoroughly enjoyed the two-set show and those who were previously aware of Carrie could sample a spread of music from across a number of her albums. 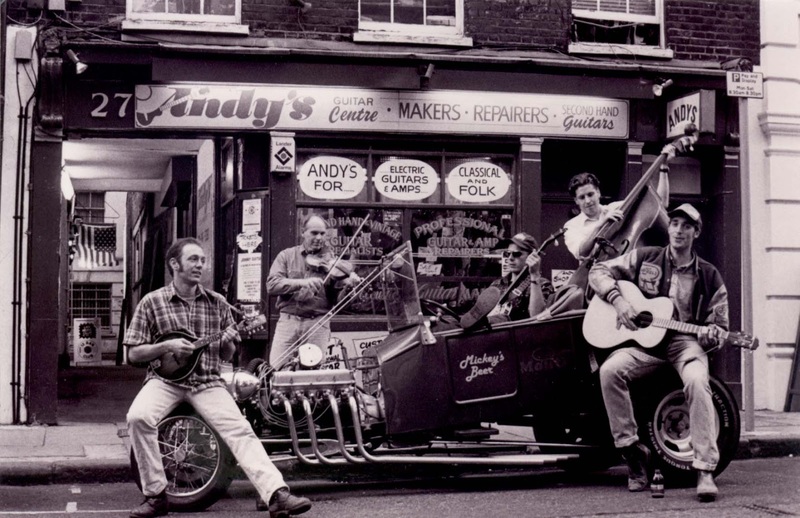 The 2006 SEVEN ANGELS ON A BICYCLE proved a popular source for songs including the Mary Gauthier co-write ‘Absence’ and the title track inspired by the loss of a close friend. Regardless of the material, Carrie is blossoming as a performer and the inventive way she interprets country, roots and Americana music is a joy to behold. Long may venues such as the Henry Tudor House spring up to host a style of music which will no doubt remain undiscovered to the masses but still retain a breathtaking quality to treasure and nurture carefully. Carrie Rodriguez is a valuable and established member of this scene and it is of sincere hope that many more people will enjoy her continued visits in the future. There may be no Honky in the title but Audrey Auld’s new album TONK has plenty in the content. Right from the outset, this latest release from the Nashville residing Aussie sets out to be a blueprint of how traditional country music can be made relevant in the 21st Century and Audrey succeeds in this mission. While it is unlikely to turn many heads in the Music Row establishment, those artists under their wing who have explored country roots in recent recordings could do no worse than look to TONK for inspiration and guidance of how to interpret the past. Long since recording her first album back in Australia nearly a decade and a half ago, Audrey has made the US her home and while absorbing all the appropriate country sounds, still injects a striking antipodean accent into her songs to enhance their roots authenticity. 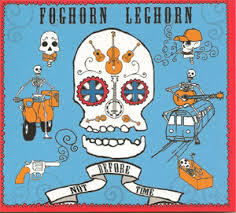 Checking in at a rapid 41 minutes, the fourteen tracks of TONK spans the repertoire of traditional country served with a voice ranging from tear jerking sweetness to an earthy bitterness. The style is uncompromising and organic with a touch of humour added both lyrically and in the outtake nature to some of the songs. Audrey has won over many plaudits in the wider country music community and is valued as highly as a song writer as she is a recording artist. In fact her composition ‘Next Big Nothing’ was one of the stand out songs on Sunny Sweeney’s fabulous debut album HEARTBREAKER’S HALL OF FAME. All but two tracks off TONK are self penned with the exceptions being Willie P. Bennett’s ‘Crying the Blues’, a song which does what it says on the tin, and the harmony driven ‘Sweet Alcohol’. Logic would suggest commencing the song analysis with the gospel-esque opener ‘Bound for Glory’ but it is impossible to remove from your mind the coarse, brutal, ruthless yet hilarious ‘Rack Off ' which hurls a stream of abuse while driven along by a rockabilly backbeat straight out of the 50’s. The deadpan Aussie twang accompanying this song achieves more than any southern backwoods drawl could do. Humour is in abundance in the final track ‘Bury Me at Wal-Mart’ where some old time pedal steel gives an unlikely romantic tale a western swing feel. However these type of songs are not necessarily representative to the overall feel of the record which rotates from a sweet waltz reflecting upon Nashville’s ills ‘Lonely Town’ to the sultry ‘Kiss Me’. As you would expect the usual array of instruments is present including the fiddle influenced ‘Broken Hearted Woman’ and some sublime pedal steel adding decorum to ‘Yes Best Left’. With country music steeped in a history of feisty women, it is unsurprising for Audrey to approach this angle in both the lecture-like ‘Drinking Problem’ where the subject is told some home truths of what the real problem is and ‘Your Wife’ a construed possible homage to the female pioneers of the 60’s. The twin tracks in the middle of the album titled ‘Nashville #1’ and ‘Nashville #2’ offer different slants on Music City, the first a little ode with a slight rockin’ groove and the second a waltz-like chasing the dream piece. The other track on the album not yet mentioned is ‘Siren City’, one of the numbers commencing with an improvised chuckle to provide that live recording feel. 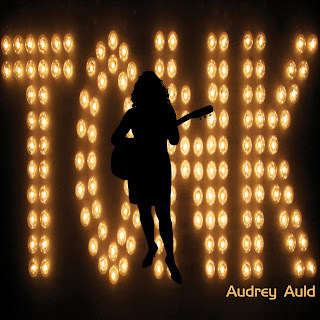 Plans are hopefully in motion for Audrey to visit the UK sometime next year and the material from TONK will connect both with some of the more traditional customers and Americana connoisseurs searching for a resurrection of the soul of country music. However this exceptional album shouldn’t just be directed at specific groups as its paradigm of country values will spread out to anybody with a fleeting interest in the genre. 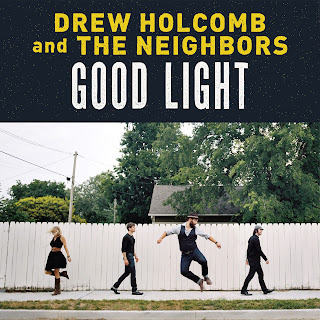 It doesn’t take too long to get into the DNA of Drew Holcomb, just listen to the lyrics of ‘Tennessee’, the lead single and stand out track of his latest album GOOD LIGHT. Being raised in the western extremes of the state didn’t do him any harm, as it doesn’t any budding musician growing up in music soaked Memphis, and now residing in the creative hotspot of East Nashville means the full force of the volunteer state’s musical heritage flows through his veins. Like so much of Nashville’s output outside music row, Drew Holcomb opens his heart to a wide range of influences from rock, country, soul and blues. 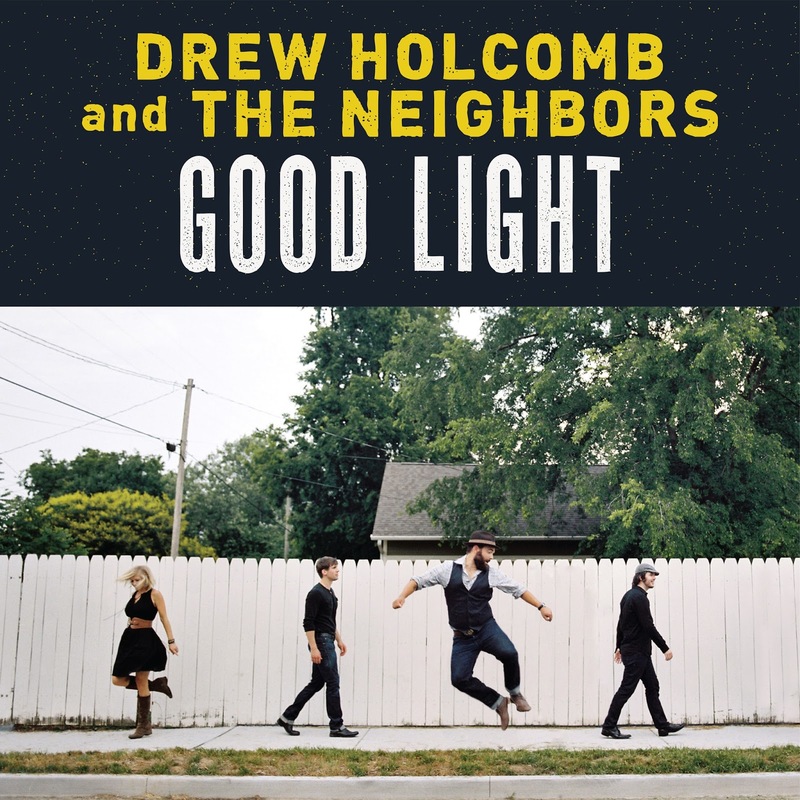 The added spice of Drew’s own singer-song writing acumen ensures this album is as representative of the current alt-country Americana scene as you are likely to come across. GOOD LIGHT almost saunters into easy listening territory when first unveiled to your ears yet possesses an unyielding substance to ensure it’s no quick fix. Weighing in at 44 minutes and twelve songs, the album is Drew’s sixth effort and prior to its August 26th UK release has gained much critical acclaim in his native US. His touring and recording band The Neighbours also includes his wife Ellie but she is currently scaling down her involvement to pursue other musical and family interests so when Drew hopefully brings the record to the UK in the New Year there may be an altered line up. 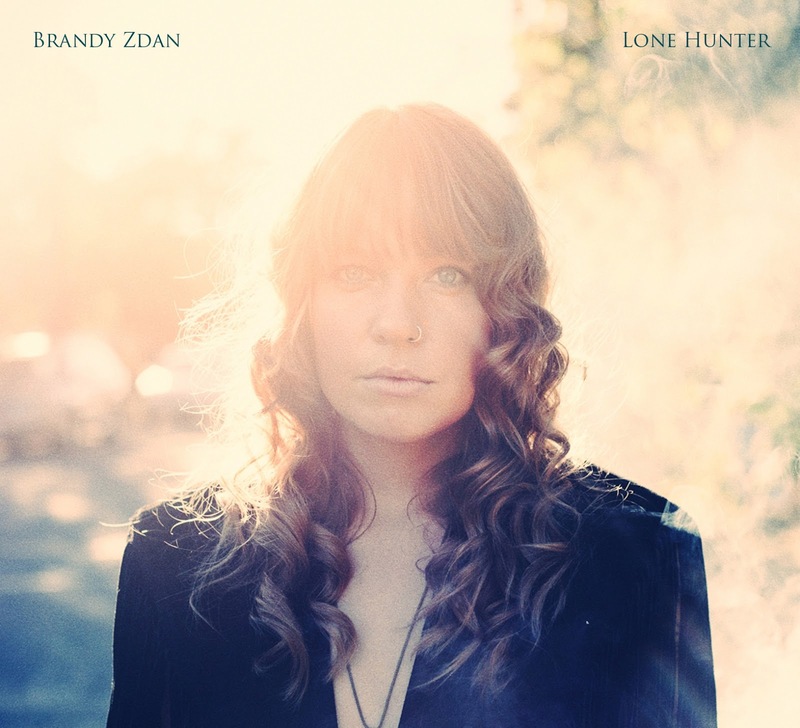 What listeners will get from the live and recorded versions of GOOD LIGHT are articulate lyrics, clear constructed songs and generally classic organic singer-songwriter fare. 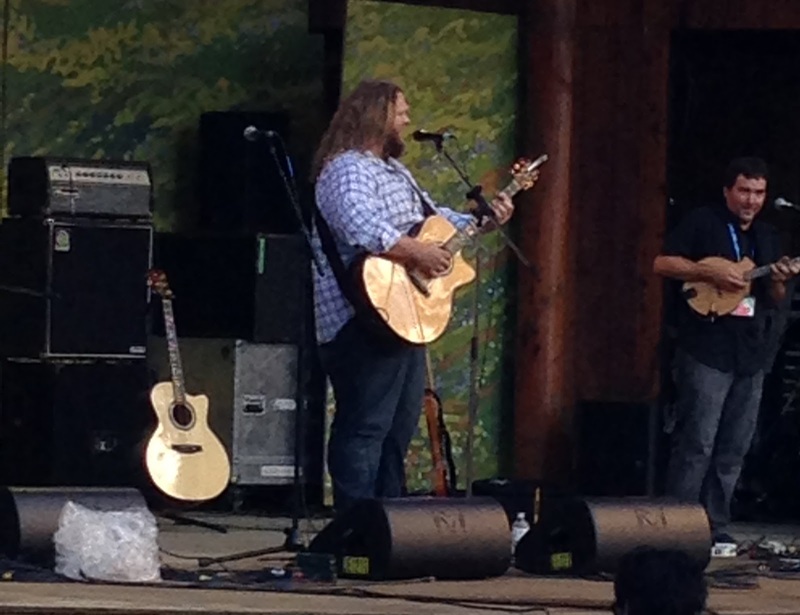 Drew’s lengthy association with many leading lights of this type of music such as John Hiatt, Ryan Adams, Avett Brothers and Robert Earl Keen has clearly had a positive impact. The general leaning is towards the slightly toned up ballad interspersed with numbers such as the jaunty ‘I Love You, I Do’, breezy album opener ‘Another Man’s Shoes’ , the harmonica laced blues/rock-style title track ‘Good Light’ and the soulful ‘Nothing Like a Woman’. However whether its these sound interpretations, the tender duet ‘The Wine We Drink’ or slightly sombre closing number ‘Tomorrow’, which does cling onto a little hope, the result is a similarly satisfying close-on four minute listening experience. ‘I was born here and raised here and I’ll make my grave here’ is the line from the excellent ‘Tennessee’ that probably defines the album. Drew Holcomb has taken advantage of living and breathing the state’s finest gift to the world – its music, and feels humble enough to commit this admiration to song with the added ingredient of a little bit of essential pedal steel. There has been many a song title referencing the state spanning the Mississippi to the Smoky Mountains and this effort ranks commendably with the best of them. GOOD LIGHT is an album worthy of accessing, scrutinising and ultimately enjoying. Drew Holcomb may be absorbing the influences of others but it surely won’t be long until it’s vice versa and this still relatively young singer-songwriter will be laying down the markers for future generations. 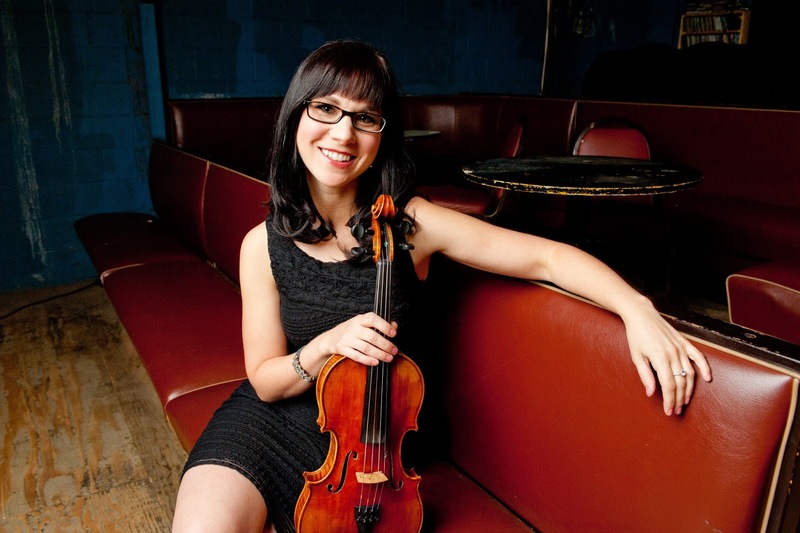 Each year the Transatlantic Sessions project arranged by Jerry Douglas and Aly Blain assembles a world class collection of roots artists from either side of the pond and surely it can’t be too long until they unveil the talents of April Verch to a wider UK audience. Regular sessions’ invitee Bruce Molsky has had a long association with April and makes several key contributions to her new album BRIGHT LIKE GOLD due for release in the UK on September 23rd. 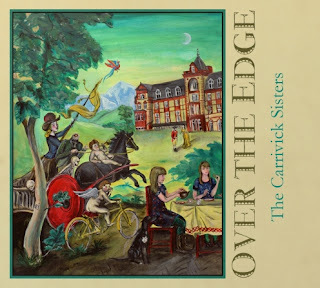 This multi-talented singer-songwriter, fiddle player and step dancer from Canada’s Ottawa Valley is a veteran of many recordings though definitely not in years and the latest record is a balanced exemplar of old time influenced yet progressive fiddle and bluegrass tunes. From her very early formative years, April has been exposed to a style of music which remains true to its core even when it flickers in and out of the wider musical trends of the day. The endearing quality of BRIGHT LIKE GOLD is that in its diversity the album succeeds in reaching beyond the technically initiated and will resonate with those who see the fiddle as an essential ingredient of any musical ensemble. A deep breath will be required before diving into this twenty song hour long album but the roughly 50-50 split of instrumentals and vocal tunes is distributed accordingly to keep your ears alert throughout the listening experience which far from drags. Just to allow you to take a break from the extensive educational experience, April does justice to the Loretta Lynn standard ‘Don’t Come Home a Drinkin’’, a song from a music genre which she wholeheartedly endorses. Her regular sidekicks which double up as both recording and touring partners, Cody Walters and Hayes Griffin, are also key architects of BRIGHT LIKE GOLD. 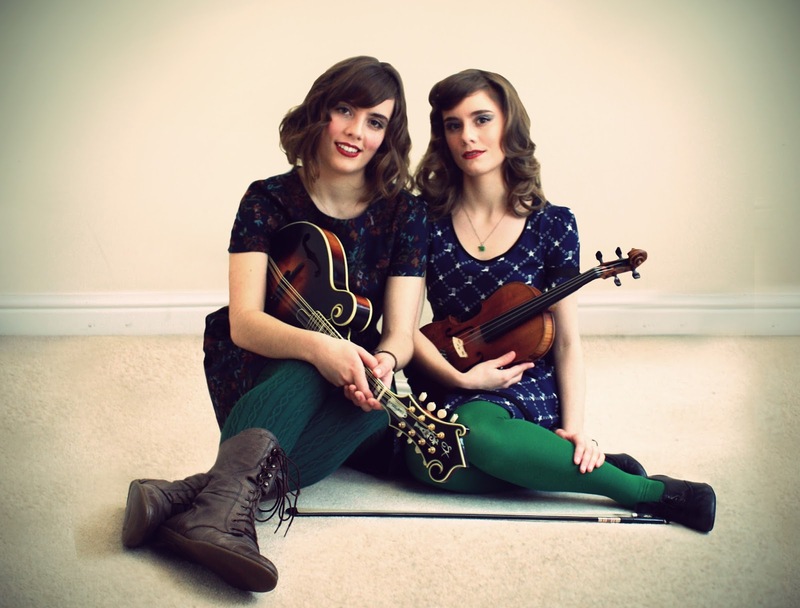 The latter’s western swing composition ‘Foolish Heart ‘ is one of the record’s highlights and generally their banjo, bass and guitar work blend intrinsically with April’s virtuoso fiddle playing. As well as the contribution of Bruce Molsky which includes a fabulous fiddle duel on ‘Evening Star Waltz’, April has managed to secure the services of legendary American bluegrass maestro Mac Wiseman to duet on her self-penned ‘The Only One’ and provide a majestic vocal performance on ‘My Home in the Sky’. Though a proud citizen of Canada, April ventured south to Boston’s esteemed Berklee College of Music to formalise her education and exploring the talents of this young lady will enhance yours. It is definitely worth accessing the extensive online bio especially to grasp a further understanding of the differences between Canadian and Appalachian fiddle playing. 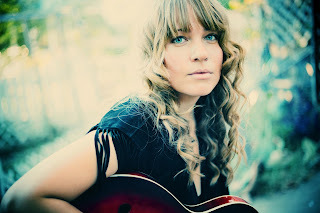 The vocal style of April is far from classical and differs a little from the pristine tones of Alison Krauss but it dovetails the multitude of acoustic sounds perfectly and exerts extra emotion to her self-penned songs such as ‘Broken’ and ‘Sorry’. Accolades, awards and appreciation have flooded April’s way in her homeland and if not put off by the extensive content BRIGHT LIKE GOLD could help expand her UK awareness outside a niche market. 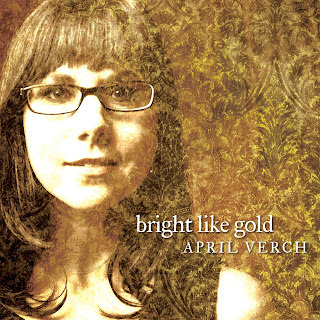 Therefore this is almost a plea to experiment with the album and challenge your mind and attitude to buy into the work of April Verch and her band of collaborators. The October tour to some of our more low key venues is another opportunity to connect and either way, disappointment will not be on the agenda. When presented with the option of spending the final day of my Canada trip in downtown Calgary or at the last day of a folk festival in the Rocky Mountain town of Canmore, there really wasn’t a contest. So a return trip west up Highway 1 to enjoy the music was undertaken in a location that was quite stunning. In a similar set up to the Calgary Folk Festival albeit on a much smaller scale, the Canmore festival consisted of a main stage providing the focus for the second part of the day with smaller outer stages hosting a series of jam style workshop sessions in the first part. After scanning the schedule and being unable to attend the first two days, I immediately sought out a couple of sessions containing artists who had already played their main set earlier in the festival. Having reviewed all but one of the Juno nominated Traditional and Folk solo albums this year, the odd one out was the ultimate winner WE HAVE MADE A SPARK by Rose Cousins. So it was good to catch Rose’s dual session with David Francey and his band. Although it was a brief experience, to hear songs from the album such as ‘One Way’ and a new song called ‘Stray Birds’ helped make the detour to Canmore worthwhile and hopefully there will be further opportunities to see her if she returns to the UK in the near future. Great Lake Swimmers are an Ontario based folk rock band who have previously visited Birmingham in the UK and having not seen them before, their session with Jim Cuddy was also attended and thoroughly enjoyed. 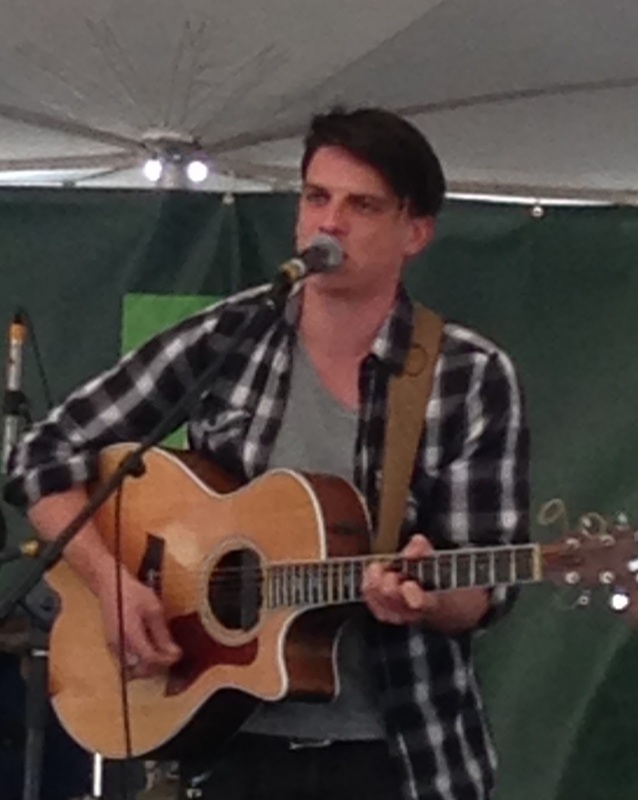 Jim was to feature later, as the highly respected member of Canadian country rock outfit Blue Rodeo had the honour of closing the festival with his own band. Just prior to the main sets getting underway a keen eye was directed towards the direction of a hat clad country folk singer from Manitoba who brought attention to himself on a crowded session stage with some engaging stories and an endearing sound. 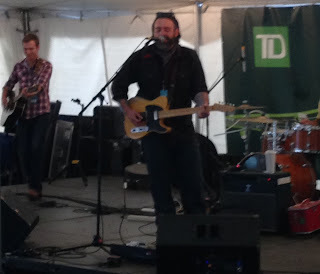 That particular artist was Del Barber from Winnipeg who later in the evening captivated a main stage audience who were just recovering from a Rocky Mountain downpour that threatened to have an adverse effect on the remainder of the festival. The appeal of Del, who is due to tour the UK in September to support Justin Currie, is in the delightful road stories of being a travelling musician and the simplistic way he transfers them to well crafted songs. Comparisons were immediately drawn to Otis Gibbs from Wannamaker, Indiana who regularly entertains audiences up and down the UK and both artists are the personification of the country music cliché ‘Three Chords and the Truth’. Hopefully Del will be featured in more detail in the future. One artist who is a perennial visitor to the UK is Canadian folk blues maestro Matt Anderson who had already been pencilled in for a live blog feature in the autumn prior to seeing his well received set at the Canmore Folk Festival. The performance by this imposing vocal presence with a mean picking style was mightily impressive especially when playing songs such as ‘Coal Mining Blues’, ‘So Long Now’ and crowd participating ‘Round and Round’. 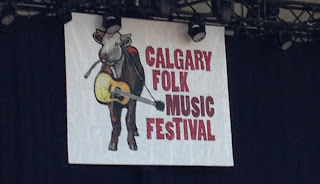 A week after the passing of guitar legend J.J. Cale was remembered by so many artists at the Calgary Folk Festival, Matt was determined to pay his own respects and he duly did with a great version of ‘Magnolia’. When joined by other fellow artists on stage for a concluding version of Curtis Mayfield’s ‘People Get Ready’, the appetite for savouring more of Matt Anderson when he comes to the UK was definitely whetted. 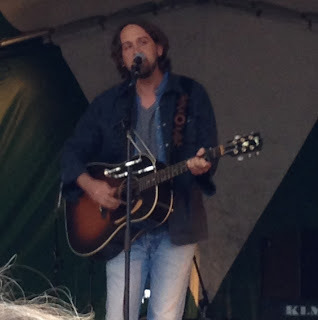 As previously mentioned the Jim Cuddy Band closed out the festival on what was a National Canadian holiday, although I am afraid, despite his standing, the impact was a lot less than that of Del or Matt. It would be remiss not to give credit to a fine blues artist in Tom Williams who bravely entertained the sodden crowd struggling to shelter from the deluge of driving rain amidst a temporary thunderstorm that rumbled up the valley before passing over the festival site. However this was only a minor blip on an impromptu day that proved a fitting end to a trip to Alberta which had already taken in the Calgary Folk Festival and the Big Valley Jamboree. 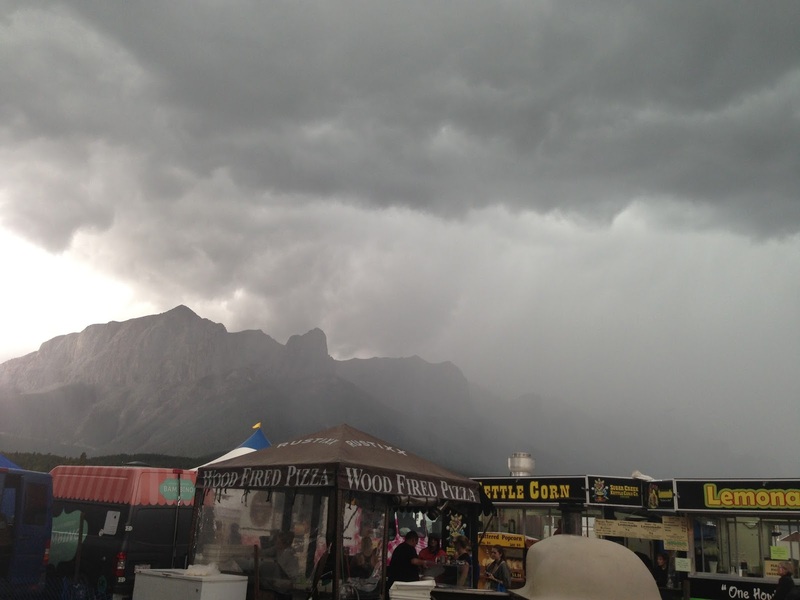 Despite not being on the same scale as these two events, the people of Canmore are very proud of their long established annual folk festival and it continues to prove popular to visitors and locals alike. The oxygen of these festivals ensures the tradition of roots infused music is preserved for future generations to enjoy. 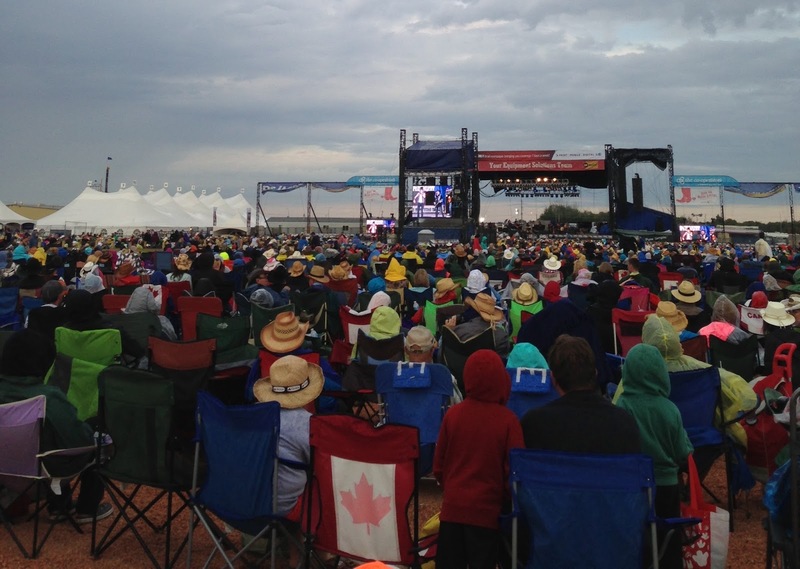 Five months after commencing his Two Lanes of Freedom Tour at the O2 Arena in London, the latest stop for Tim McGraw, as he criss-crosses the North American continent, is the wide open spaces of Camrose, Alberta and a Sunday night headline slot at the 21st Big Valley Jamboree. Having been fortunate enough to attend the weekend segment of this four day festival during my summer holiday to Canada, it can be confirmed that this excellent album which was virtually being previewed in London is sounding better than ever and the lesser half of the McGraw/Hill partnership is in fine fettle as one of country music’s great contemporary entertainers. More of Tim’s closing set later which brought the curtain down on a festival which the organisers like to combine the cream of Nashville talent with both up and coming and established Canadian artists. Having kicked into gear on Thursday evening, the festival was already in full swing upon my Saturday morning arrival. According to those present on Friday, The Mavericks, fresh from a number of UK dates, performed an amazing set while Alan Jackson did what he does best and entertained his hordes of fans in his own inimitable style. From the organiser’s perspective the challenge was now to cope with the fevered masses determined on partying on down to Luke Bryan and perhaps more importantly the weather holding out. Although the surrounding festival site housed plenty of western themed attractions and a couple of low key songwriter tents, the heartbeat of the jamboree pulse is in the main arena which hosts six acts each day. 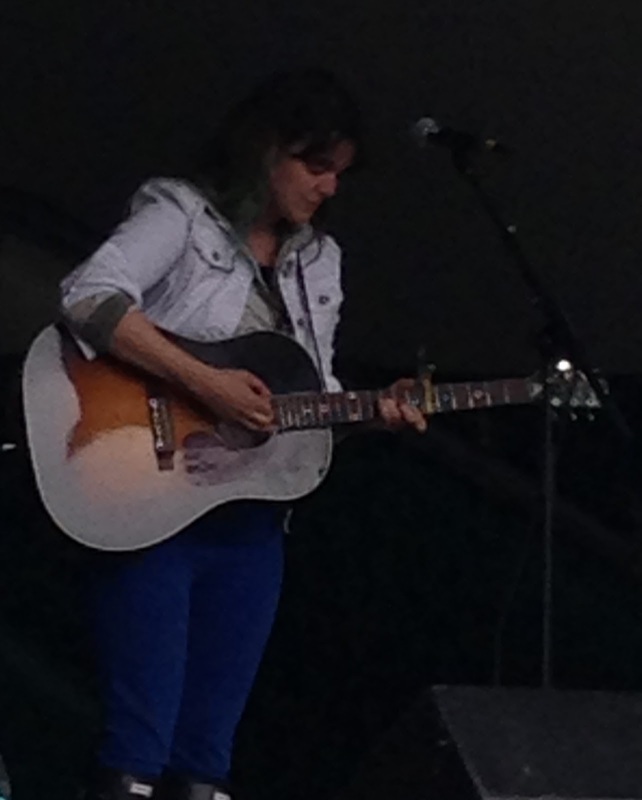 First up on Saturday lunchtime was a young female solo Canadian artist known simply as Tennile. It is always difficult to open a sparsely populated area designed to cope with 25000 fans but Tennile displayed potential as she worked through a short set which included her new single ‘Halfway to Somewhere’ and a cover of U2’s ‘I Still Haven’t Found What I’m Looking For’. While her big stage best may be still to come, by all accounts her voice came over really well when performing later in one of the song writing workshops. Following Tennile on the main stage was another Canadian artist that had no problem commanding the arena which was now starting to fill a little. 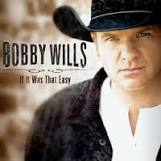 Bobby Wills is a highly credible country singer-songwriter, musician and performer who has seen his stock rise considerably in the last year. With a collection of songs that are equally powerful and tender, Alberta native, Bobby delivered a set containing new compositions, a cover of Randy Travis’s Digging Up Bones’ and a host of tracks from his recent album including the highlight ‘Show Some Respect’. Bobby’s album was reviewed here last year and catching him live confirmed the talent that existed in that recording. Before the big name American acts dominated proceedings, newly formed but highly experienced Canadian duo Small Town Pistols took to the main stage to deliver a harmonious set of contemporary country music in the tradition of the great family acts of the past. Brother and sister, Amanda and Tyler Wilkinson who previously had solo careers as well as being integral members of their family group The Wilkinsons, are very much veering towards a cross over sound with their new project. They didn’t hold back on their admiration for Fleetwood Mac when introducing the track ‘Love is Gonna Find You’ and included a cover of Tracey Chapman’s ‘Fast Car’ in their set. Although the debut album by the Small Town Pistols is commendable, perhaps the highlight of their live performance was the stunning ’26 Cents’, a song from The Wilkinsons back catalogue. Anticipation amongst the younger and slightly rowdier members of the increasingly growing crowd started to gain momentum when country rocker Rodney Atkins took to the stage for the late afternoon slot. This established Nashville performer took a little while to warm up the crowd before closing with the hits that had many singing and jumping up and down to. Like many artists over the weekend, Rodney adapted some of his lyrics to suit a Canadian audience although maybe he went a little too far in totally renaming ‘It’s America’ to the syllable shorter ‘It’s Canada’. Having changed the title, much of the chorus was also amended with the lines ‘Saskatoon, hockey and Bryan Adams’ song’ all added. No such alterations were made with his popular hits ‘Take a Back Road’, ‘Country Boy’, ‘Watching You’ and ‘These are my People’. By the time he got to ‘If You’re Going Through Hell’ which closed the set, the more lively members of the standing crowd were in full swing both vocal and in motion to provide upon reflection one of the highlights of the festival. 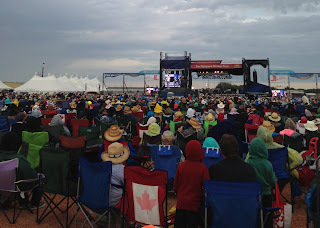 After a short break to indulge in the unhealthy festival food and sample the highly rationed and expensive alcohol, main stage action resumed to witness an impressive set by Travis Tritt. Not knowing too much about this highly respected artist from the 90’s explosion years of country music did not distract from thoroughly enjoying his style of music which leaned very heavily on a southern rock blues sound especially in the vocals. A majority of the songs came from his hit laden back catalogue with the three having the most favourable impression being ‘Put Some Drive in Your Country’, ‘The Whiskey ain’t Working’ and ‘Modern Day Bonnie and Clyde’. A cover of ‘Take it Easy’ by The Eagles was the solitary known number in the set but by the end your mind had been enriched by an hour’s worth of old songs being introduced for the first time. 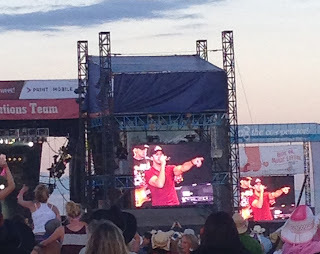 While it would be grossly unfair to class Travis Tritt as a warm up act, unfortunately for thousands of young, predominately female fans clad in ‘Boom Boom’ and ‘You Can Crash My Party Anytime’ tee shirts this was the case as Luke Bryan was all they wanted to see. At 37 years old, the native of Leesburg, Georgia is no overnight success having plied his trade around Nashville for a dozen years. However from somewhere he has found a formula to catapult his appeal into the stratospheric level of mainstream country music. Apart from the obvious features which need not be analysed here, it was the most intriguing part of the festival to gain a further understanding of his popularity. Well for a start, the guy held 25000 fans for an hour and half in the palm of his hand which is no mean feat. By drawing on material ranging from 2007’s I’LL STAY ME to the upcoming release CRASH MY PARTY, Luke Bryan is probably first and foremost an entertainer. While all the party style hits were demanded and delivered, mid way through his set perhaps we saw a vision of who Luke Bryan wanted to be. This extended phase of acoustic material including a version of ‘We Rode in Trucks’ was certainly a little too long for many in the crowd but gave a perceived insight of where his career may lead. Anyway, where Luke Bryan is right now was perfectly illustrated in three of the set’s final tracks ‘Drunk on You’, ‘All My Friends Say’ and ‘Country Girl (Shake it for Me Now)’. Fortitude may be the key to his sustainability but that ‘feel good moment in time’ aurora keeps Luke Bryan very relevant in the world of country music. The Sunday weather held, just. After the excitement of a party Saturday evening, there was a more sedate feeling to the Sunday set until it exploded into life later in the day. There was hardly a Luke Bryan tee shirt to be seen as Canadian country pop duo Autumn Hill took to the stage the get the final day underway. Once again the opening slot can prove tricky but this artist, very reminiscent of the UK act Raintown, came across well. A single recorded in Nashville titled ‘I Can Get Lost in You’, a cover of Keith Urban’s ‘Somebody Like You’ and ‘Party Like Memphis’ were the highlights from this 45 minute set. 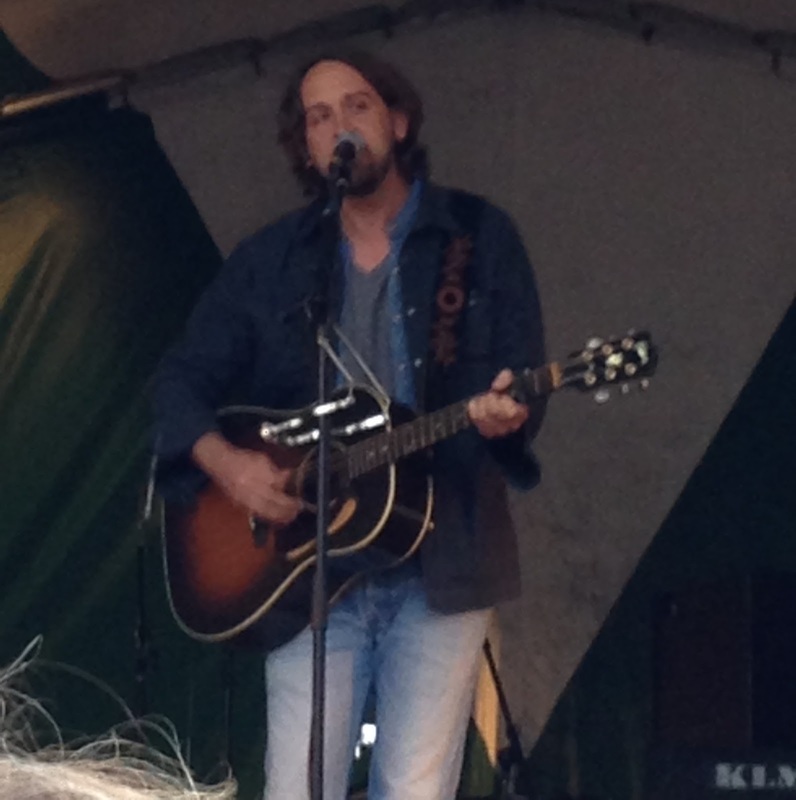 Aaron Lines was another home grown Alberta performer added to the line up and this accomplished, experienced performer entertained those present in the outdoor arena which started to see a little cloud build up amongst the warm sunshine that up to now had blessed the festival. By far the best song from the acclaimed Canadian was ‘Trouble with California’, a track well worth checking out on You Tube. One of the aims of the organisers is to showcase a selection of different styles without veering too far astray from the core of country music. The booking of Texas honky tonk band The Derailers certainly added a twist to the Sunday afternoon proceedings and they delivered a blistering high energy set to those members of the audience desiring a re-creation of a sound that resonates around the traditional dance halls of the Lone Star State. This edgy combo provided ample opportunities for couples to perfect their dance routines and breathed a little bit of life into an event that could have hit a quagmire of the pop/rock guitar side of contemporary country music. 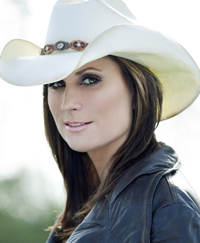 The lady gracing the festival’s Sunday late afternoon slot needed little introduction to her adoring fans as the pride of Medicine Hat, Alberta and, Canada’s finest export to the Grand Ole Opry, Terri Clark took to the stage to effectively begin the festival finale. 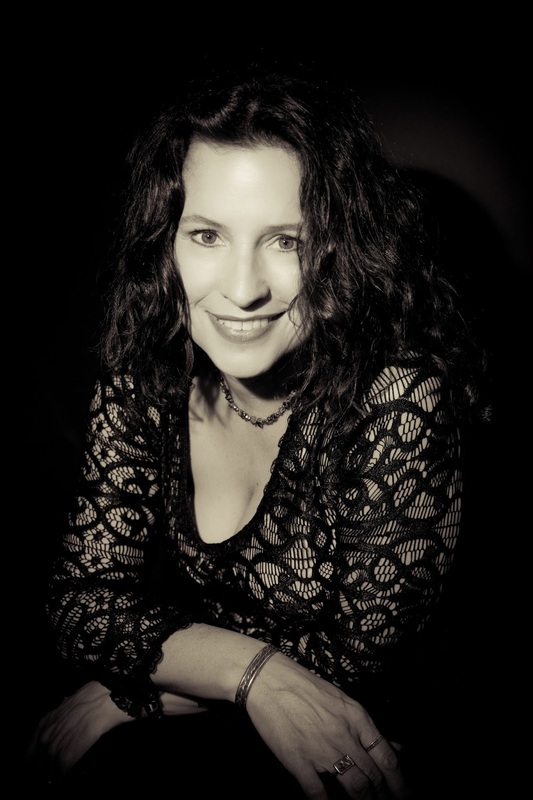 In contrast to her wonderful solo intimate shows in the UK last summer, Terri reverted to her equally wonderful full band performance on this occasion. Although her appearance formed part of the Classic Tour, the only vintage on offer during a jam packed hour-long set was a medley of her 1990’s hits and a short dose of the Man in Black as she ensured every precious available minute possible was dedicated to song. The live version of ‘I Wanna Do It All’ was amazing, as was ‘No Fear’ and the enthusiastic all-age audience had no hesitation in sending a message to the waiting Tim McGraw that their version of ‘Northern Girl’ would be louder than his ‘Southern Girl’. The finale of ‘We’re Here for a Good Time’ couldn’t have been more appropriate with the festival’s final two acts still to come. If you analyse Big and Rich too much, you start to miss the point. The antics and hits flowed in equal measure as the fun duo played up to their image. ‘Come to your City’, ‘Wild West Show’ and ‘Loud’ had their delirious fans in raptures even before Cowboy Troy joined the boys for ‘I Play Chicken with the Train’ and remained on stage for the increasingly manic finale. Although loved by the crowd, the multi selling smash hit single ‘Lost in this Moment’ seemed a little out of the sync with the tone of the set, however there was no denying which song most wanted to hear. The live version of ‘Save a Horse (Ride a Cowboy)’ with all its sampling lasted an eternity but it took the set to an even higher level. Big and Rich will always divide opinion but if you sit on the other side of the fence, perhaps take the opportunity to peer over and try to ascertain what the fuss is all about. 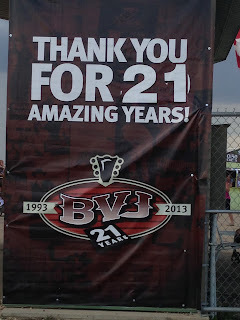 At 9 o’clock, and with the threat of inclement weather passing much to the organiser’s relief, the major act for the 2013 Big Valley Jamboree took to the stage. With potentially a career album just under his belt, Tim McGraw continues to show the world of country music who is running the show. Luke Bryan may have had the adulation the night before but this performance was all about respect and the odd sing along. If anything the sound was a little less rock orientated than what was experienced at the O2 Arena in London last March but the set list ran pretty much along the same lines. A little blemish on the festival was a slightly deteriorating sound quality for us poor souls at the back of a very large field but with a little straining of the ears, the immense impact of McGraw’s song delivery and stage presence was still profound. If anything this guy’s music has grown on me since March and this follow up experience in many ways exceeded that London debut. The highlights were endless although a special mention needs to be reserved for the splendid ‘Highway Don’t Care’, albeit Ms Swift’s backing vocals came from a sound system as the budget didn’t stretch to her appearing for one song. 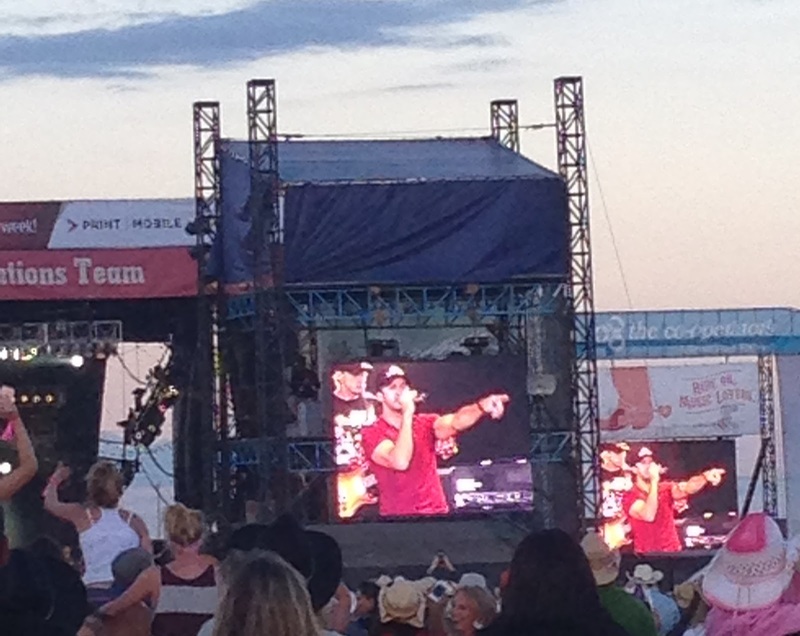 Just prior to Tim McGraw’s performance, the big screen announced the festival’s first 2014 bookings. 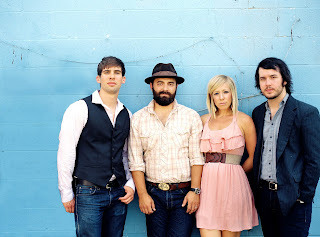 Darius Rucker and The Band Perry are no strangers to the UK but many would like to see Miranda Lambert over here. 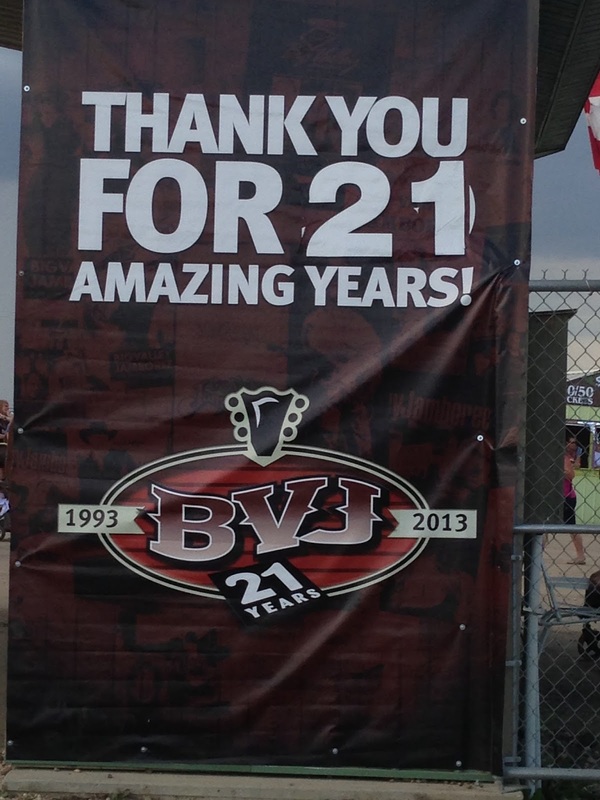 Unfortunately I won’t be at the Big Valley Jamboree next year to see these three artists but I know 25000 adoring Canadian country music fans will and they will definitely have a guaranteed good time.